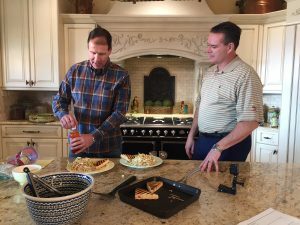 Dr. David Rosenbaum, a cardiologist at UCHealth Memorial Hospital North, cooks a vegan meal for a segment on KOAA News 5 with morning anchor Ira Cronin. Once thought to be a diet only for the Birkenstock and tie-dyed-clad crowd, vegan diets have become fashionable and more popular over the years. In 2015, a New York Times Magazine cover story titled “Vegans Go Glam,” featured a group of beautiful, slim, trendy looking people who espoused a vegan lifestyle. They claimed that a vegan diet kept them looking young and radiant, and healthy. Who wouldn’t want to sign up for that? Bill Clinton, Beyoncé and Jay-Z, to name just a few famous folks, have all claimed to have given up animal products. A vegan diet consists of only plant-based foods. Not only do vegans avoid all types of meat and fish in their diets, as do vegetarians, they also eschew dairy, eggs and honey, as well as all products made from animals like leather shoes or handbags and any products tested on animals. With the complete avoidance of anything that involves harming animals, many people choose this restrictive diet more for ethical reasons than health. David A. Rosenbaum, MD, a UCHealth cardiologist at Memorial Hospital North, has been eating a plant-based diet for the last eight years. He turned to veganism while training for a 100-mile bike race. Press liquid out of tofu and marinade in sweet chili sauce. Mix all ingredients together in large bowl. Add noodles and toss. 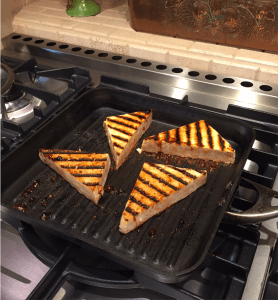 Grill tofu after marinade has sat for 15-30 min. Dish noodles on plate or bowl, garnish with chopped cilantro, chopped peanuts and bean sprouts. Top with grilled tofu and serve. Rosenbaum sees vessels and vascular systems that are clogged with plaque all the time. While he stops short of saying that a vegan diet can absolutely reverse heart disease, he does feel that it can improve your health and lower your risk for plaque build-up in your arteries. Less plaque build-up means that it’s less likely a piece of plaque will break away from a vessel wall and cause a heart attack or stroke. Erin (Wren) Cahoon, a UCHealth registered diet technician, says that cutting back on meat, especially processed meat, can also reduce your risk of certain cancers such as colorectal and stomach cancer. Processed meats, she notes, contain nitrates and nitrites, which the World Health Organization (WHO) has classified as carcinogenic. Cahoon also touts the benefits from the increased vegetable intake you’d get from following a vegan diet. “You’re going to get more fiber, and fiber is healthy for your digestive system and heart. You’re going to get the added benefits of phytonutrients that only come in fruits, vegetables, and other plant-based foods.” Phytonutrients, such as beta-carotene and lycopene, are thought to reduce inflammation, improve eye health and bone health and reduce your risk for certain cancers. There is research that suggests that a vegetarian diet has numerous health benefits including lowered risk for cardiovascular disease and some cancers. One study showed that a vegan diet might have the added benefits of protecting against obesity, hypertension, type-2 diabetes, and cardiovascular mortality. But more research is still needed. For both vegan and vegetarian diets, the growing popularity may be attributed, in part, to a growing awareness about the environmental impacts of meat consumption, said Cahoon. “There’s been a lot of documentaries recently about abusive farm practices. I think more people are aware of those issues and choose to go vegetarian or vegan for those reasons,” she said. But eating a vegan diet can be hard because of how restrictive it is, even harder than a vegetarian diet, because you are cutting out even more foods. Careful meal planning is important to make sure you get the right number and quantity of vitamins and minerals your body needs, especially B12 and calcium that are primarily found in animal and dairy products. Rosenbaum’s diet is filled with tofu, beans, rice, oats, nuts, legumes, vegetables and fruit. He says he doesn’t even miss meat. “Tofu is high in protein and low in fat. Learning how to infuse flavor into tofu, which is mashed soybeans, is the trick to not getting bored with a vegan diet,” he said. He does eat fish periodically, though, but said that he and his wife, Tamera Dunseth Rosenbaum, associate chief nursing officer at Memorial Hospital North, follow a vegetarian or vegan diet 95 percent of the time. 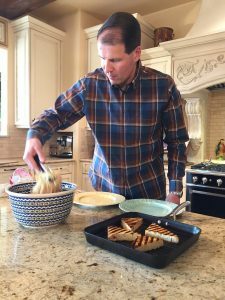 Dr. David Rosenbaum, a caridologist at UCHealth Memorial Hospital North, prepares to plate his recipe called Tofu Brown Rice Noodle Stir Fry. When he sees patients with cardiovascular disease, Rosenbaum discusses diet with them as a means of improving their health. “When you have someone in the hospital who has had a heart attack, you can say ‘You need to change what you are doing with your diet,’” he said. People choose to go vegetarian or vegan for many reasons, including ethical, health, financial (meat can be pricey) and environmental. All good reasons. “I think, if done mindfully, [vegetarian and vegan diets] are some of the healthiest diets and truly help to prevent some of the chronic diseases that are common in our society,” said Cahoon.